Abonne-toi, tu ne le regretteras pas ! Red wine leoube vineyard is very pleasant and the fruits well represented. Leoube Red wine owns a pretty and clear colour. The nose is very pleasant and the fruits notes are presents. The mouth is round and silky. A well-controled exctraction for a balanced wine. Red wine Léoube is servec at 16°c and it is perfect to accompany red meats and meals with sauce. 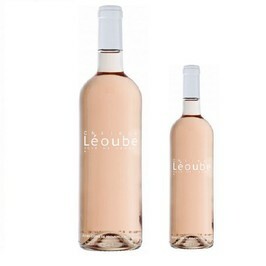 Château Léoube is situated in a domain protected from the Mediterranean Sea, the rising label of the naming Côtes de Provence, produced one of the best wines of Provence, at the same time fine, well-balanced and elegant. 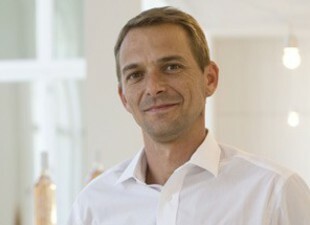 The vineyard, exploited by Romain Ott, gives red, white and rose wines dedicated to the pleasure. 560 ha in sea border in front of Iles d'Hyères to Bormes Les Mimosas, the vineyard is cultivated in organic farming. Son of a wine maker from a vintner family for 4 generations, Romain OTT manages the productions (wine and olive oil) on the Château Léoube. Romain OTT is an engineer agronomist specialised in oenology and has made all he can to keep and improve the identidy of Léoube since 200, with a real passion and a certain attachement for thr family's philosophy. « Produire avec amour et reconnaissance le meilleur de ce qu’une terre peut donner… » : telle est la philosophie de Romain Ott. Receive every month our exclusive promotions by subscribing to our newsletter. Retrouvez Infinivin sur Facebook ! @Infinivin est sur Twitter ! +Infinivin est aussi sur Google+ !